One of my favorite things for breakfast is a truly awesome coffee cake. I crave it this time of the year, especially as the weather cools. My recipe for Apricot Almond Coffee Cake (above) was on my blog last year, and it’s so delicate and flavorful (I love the added touch of using Greek Yogurt). I have been eyeing some other recipes to try this season to serve on Thanksgiving and Christmas morning. I hope you’ll enjoy some of these recipes from some of my favorite sites that I look forward to reading on a daily basis. A lot of my newly married couples and friends have been asking me for Easter brunch recipe ideas. I had to do some thinking because I was trying to come up with a really light, delicious easy recipe that would work for a Easter brunch, lunch or dinner. I also wanted a recipe that would work for Passover. I love smoked salmon so I thought this would be a perfect fit. It’s so quick, delicious and light. I served it as my appetizer for my dinner last night, and it was a major hit. This recipe is perfect for this time of year when spring brunch celebrations are upon us. When we have family brunches, I am always asked to make this version of Blueberry French Toast. It’s my niece, Jamie’s, favorite, as well as my kids. This recipe is a breeze and can be done overnight. Just see the directions under “preparation” below. 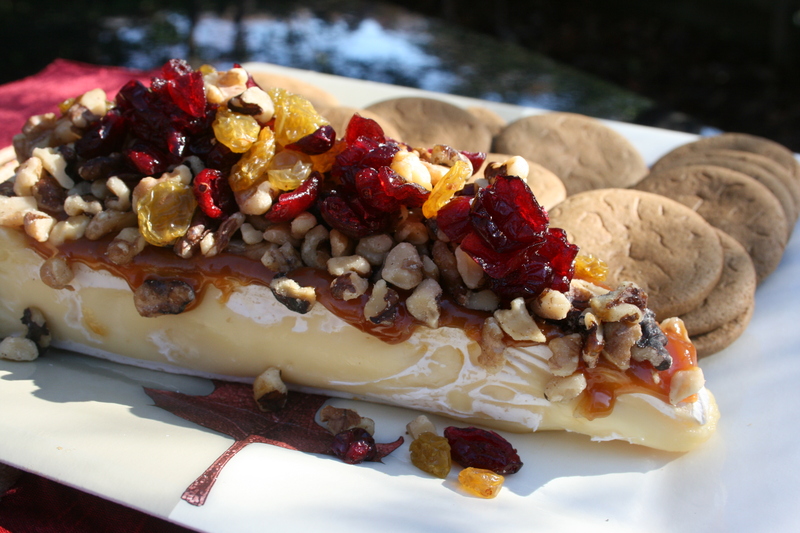 It can also be done with strawberries or even bananas in the middle of the cream cheese layer. I love to use Challah bread, but if you can’t find that, use a good French bread. Look for me today on The NBC 13 show in Birmingham “Daytime Alabama” at 11:30 central time in Birmingham. I will post the link next week for those of you who are outside the viewing area. 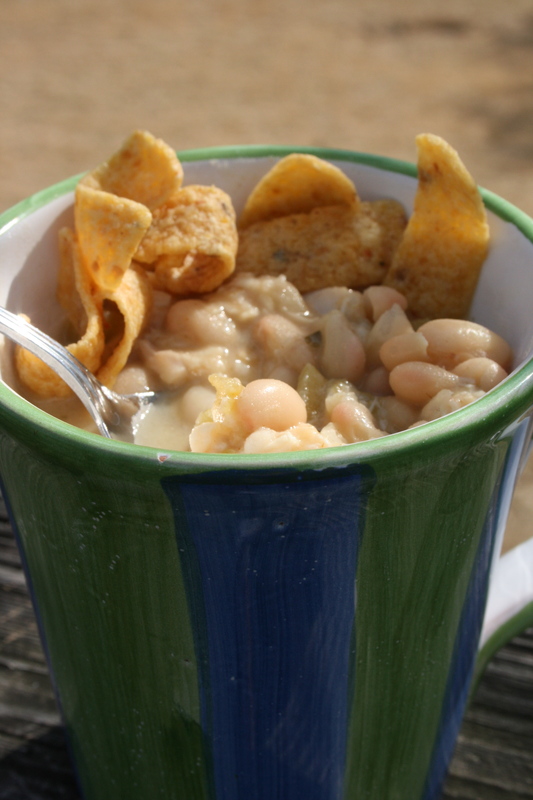 My friend and loyal fan, Dawn, asked me a while back for a recipe for White Chili. I promised her I would work on one, and this recipe came out great. 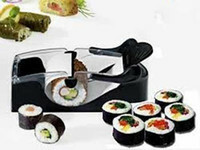 It’s simple to prepare-just requiring some chopping, vegetables and grating cheese, and that’s the only work involved. Feel free to use already-shredded cheese if your short on time, and I used a rotisserie chicken to speed up the process. This chili has just the right consistency and spice. Even my 8-year-old was asking for seconds. heat, and simmer 20 minutes. Add chicken, 1/2 cup of Monterey Jack and 1/2 cup Colby cheese; simmer 10 minutes more. Ladle chili into individual bowls. Top each serving evenly with cheese and desired toppings. So many friends have called in the past few days and asked me, “What are you serving with Thanksgiving dinner?” I suggest serving Prosecco and Pinot Noir since holiday meals feature a diversity of flavors. There is no single wine modeled for a certain dish. The joy comes from trying new possibilities. 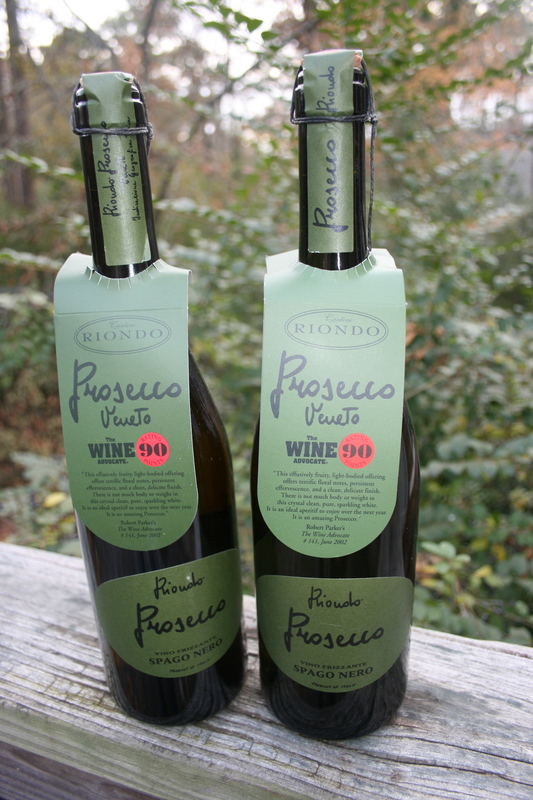 Prosecco is an Italian sparkling wine. It’s not expensive, and it’s clean, crisp and easy to drink. Pinot is the perfect table wine for the holiday season because of its low tannins, good acidity, and fruit-forward flavors. Cheers and happy holidays! 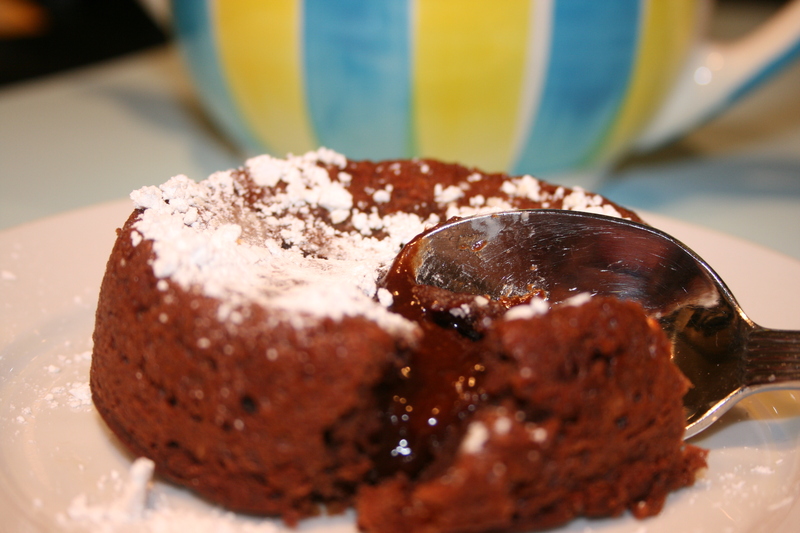 I have always wanted to learn how to make Chocolate Lava (molten) Cakes, as it is one of my favorite desserts. I have been searching for a way to prepare these without a lot of effort, and I finally hit the jackpot with this recipe. These are simple to prepare, and you can even make the chocolate mixture at least 12 hours ahead of time. Pour the mixture into ramekins, cover and refrigerate. Be sure to bring to room temperature 30 minutes before baking. I also had a couple of baked and prepared ones left over, and I left them in the ramekins and reheated them in the microwave for 15 seconds, and they worked great! Try them on Thanksgiving, Christmas, New Years or just for a weeknight or weekend surprise. Serve with vanilla ice cream, whipped cream or just with confectioners sugar. Dark chocolate may be substituted for semisweet in this recipe. 1. Preheat oven to 425F. Lightly grease 4 (8-ounce) ramekins (custard cups or souffle dishes). Place on a baking sheet. 2. MIcrowave chocolate and butter in a large microwaveable bowl on High 30 seconds or until butter is melted. Whisk until chocolate is completely melted. Whisk in vanilla and confectioners sugar until well blended. Whisk in eggs and yolk. Stir in flour and pour batter evenly into prepared custard cups. 2. Bake 13 minutes or until sides are firm but centers are soft. Let stand 1 minute. Carefully loosen edges with a knife. Invert cakes onto serving plates and sift powdered sugar over the top. Serve immediately. Sometimes the most difficult part about the Thanksgiving or holiday menus is figuring out what type of salad to serve. 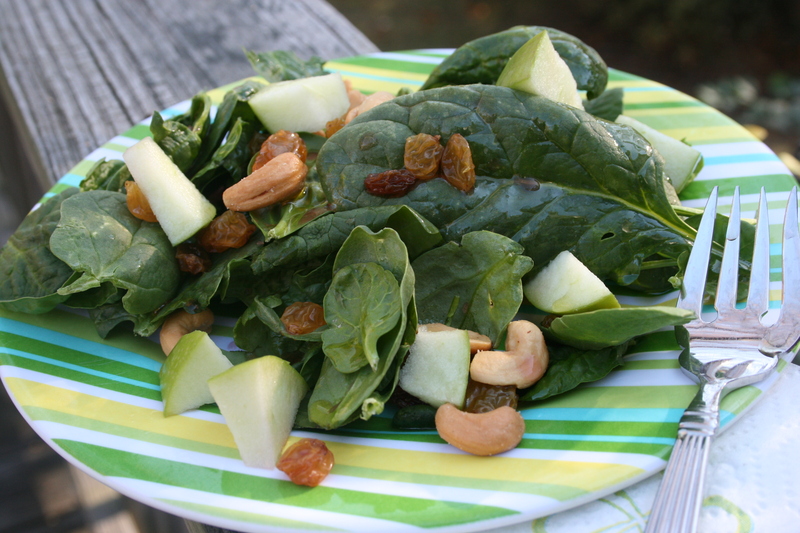 This recipe is perfect with the holiday turkey with the crunch of cashew nuts, the sweetness of golden raisins, and the tartness of Granny Smith Apples served over baby spinach leaves. It’s one of my holiday staples that friends and family look forward to every year. It’s also perfect for a quick, healthy weeknight salad served with chicken, fish or pork. 1. Combine first 4 ingredients in a large salad bowl. 2. Whisk together sugar and next 4 ingredients until blended. Serve dressing with salad. Note: You can chill dressing up to 1 day; whisk well before serving.